← A WEEK OF THANKS-LIVING . . . THINK! A WEEK OF THANKS-LIVING . . . DO! Throughout this Thanksgiving week I am unpacking a concept that I call “Thanks-living.” I’ll explain what this kind of life entails for every child of God in three primary areas of living out our Christian faith: what we think, what we do, and what we say. I am only going to focus on one verse of Scripture for each topic; I encourage you to find others that will strengthen your Thanks-living for God’s glory and for the good of others. Everything we do should be ultimately motivated by one purpose: giving glory to God. Now, that is living a life of Thanks-living that springs from the Spirit and not from our own sinful hearts! You see, there are always two reasons that a Christian believer does anything. We can do something for the glory of God . . . or we can do something for our own glory. When we are doing something—anything—for our glory, we are doing it for what we hope to get. We are trying to broker God’s favor and blessing in our lives. We want control, and we try to get it by making God our debtor. When we operate from this mindset, even when we are doing “good” things, they turn out to be bad things because we were doing them for the wrong reason. You will recall that the Pharisees did a lot of really good stuff: they spent lots of time in the Synagogue, they tithed, they served, they prayed, they fasted, they studied. But they did all these “good” things for all the wrong reasons! Their actions did not flow out of a heart of love for the Lord and gratitude for His grace. Their hearts were beating only for themselves. Jesus exposed this truth when He said, “Their hearts are far from me” (Matthew 15:8). I can’t imagine anything worse being said about anyone; could it possibly be said of you or me? 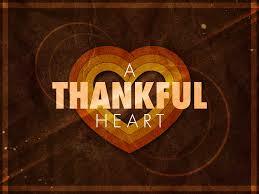 When we do whatever we do for the glory of God, our lives are truly marked by Thanks-living in every way. We are to eat for the glory of God; we are to drink for the glory of God; we are to love for the glory of God; we are to serve for the glory of God. We are to live for nothing smaller than the glory of God in every area of our lives. So . . . what have you been doing lately? More importantly, why have you been doing it? When what we are doing flows out of a heart of thanksgiving for what Jesus has already given us—and not for what we hope to get—then we live lives marked by Thanks-living and a desire to showcase the goodness and glory of God. We put the Gospel on display and make our God attractive to all those who are watching us. And make no mistake; the world is watching to see if our practice matches our profession. So remember that the key to the “Do” part of Thanks-living is found in the why we do what we do. This why is far more important than what we do, and the why is determined by what our hearts are ultimately beating for. God knows our thoughts; before a word is on our tongue, He knows it completely. I’m sure that there are those in the church today who, just like the Pharisees of Jesus’ day, do all sorts of great things . . . but our Lord would say to them, “Your hearts are far from me.” May that not be true of you or me! I pray that you and your loved ones enjoy a wonderful Thanksgiving Day tomorrow; eat and drink and fellowship for the glory of God! I’m looking forward to our presenting the final message in this Thanks-living series to you on Friday.